Illuminate the path to making them happen! You're a business owner with big ideas for making an impact. You know you want stellar design, but you're unsure how to make it all happen, and which approach makes the most sense for your brand and business. You need help to clarify your design dreams and decide on your next steps. Illuminate! sessions are the bridge between your big ideas and making them happen. At the end of your session, you'll receive recommendations on next steps and resources for bringing your big ideas to fruition. These resources may include options on how you and I can work together, and/or suggestions for other resources or providers you might need. With 12 years of freelancing and 20+ years in the field, I have an amazing network and knowledge base to draw upon. I help people who want to change the world in their own unique way with my artful design and decades of know-how. Thanks for being here. Not sure if this is what you need? Just want a quick chat to see if we might be a fit for working together? Book a brief complimentary call. "Tzaddi's strategic sense will provide you with smart ideas and feedback and her talent will produce a product that will have a very positive ripple effect in your business and bottom line. 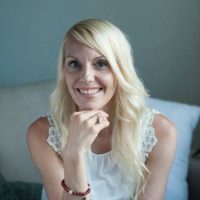 She is professional, compassionate, knowledgeable, skilled and has the ability to think way outside of the box to give you that strategic edge on the next leg of your journey. In the last four years of growing my business Tzaddi has played a key role in every project, program and event that I’ve launched."